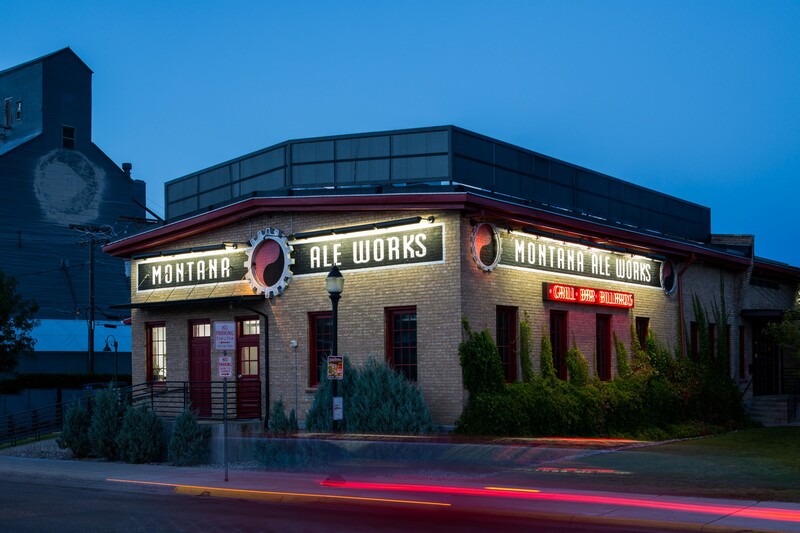 The owners of Montana Ale Works wanted to maximize their seating and create a more urban experience inside this historic building. Bechtle Architects helped modernize Ale Works to reflect a younger, hipper generation, while highlighting the existing structure’s previous life as a railroad warehouse transfer building. Bechtle’s design particularly showcased the old brick and anterior structure of the building. Additional railcar seating on the Main Street side was remodeled to address an ambient noise problem and improve seating comfort. A cooler – the predominant feature in the space – was disguised with wood to make the space warmer and more inviting. Further improving flow and increasing capacity, centrally situated bathrooms were relocated to the end of the building and concrete sink counters and substantial metal partitions were installed to establish an industrial feel. As Ale Works got busier, Bechtle assisted with capitalizing on the outdoor patio space – that was uncomfortable during hot sunny days – by developing a sheet canopy to create a shaded outdoor “room.” In addition, lighting and signage were enhanced around the exterior to improve visibility at night.